Stock # HEF36588, Intercooled Turbo Diesel V-8 6.7 L/406, Automatic, 19571 mi. LOW MILES - 19,571! 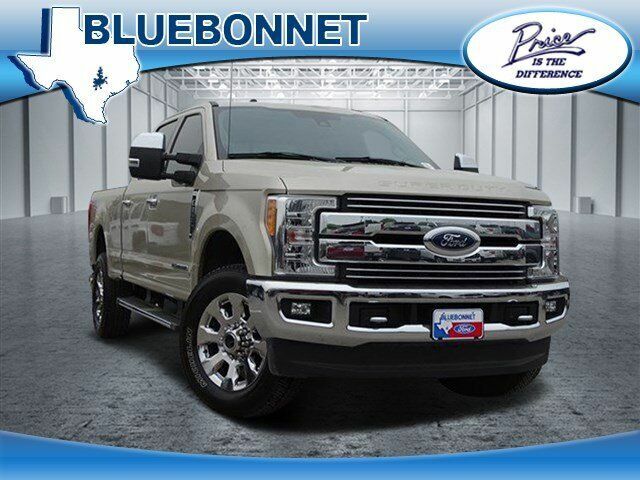 Heated Leather Seats, Back-Up Camera, 4x4, Turbo, Onboard Communications System, iPod/MP3 Input, Premium Sound System, Alloy Wheels, LARIAT ULTIMATE PACKAGE, TRANSMISSION: TORQSHIFT 6-SPEED AUTOM... READ MORE! Leather Seats, 4x4, Back-Up Camera, Premium Sound System, iPod/MP3 Input, Onboard Communications System, Trailer Hitch, Aluminum Wheels, Dual Zone A/C, Smart Device Integration, WiFi Hotspot, Heated Leather Seats. MP3 Player, Privacy Glass, Steering Wheel Controls, Electronic Stability Control, Heated Mirrors. ENGINE: 6.7L 4V OHV POWER STROKE V8 TURBO DIESEL B20 4 valve OHV, manual push-button engine-exhaust braking and intelligent oil-life monitor, 34 Gallon Fuel Tank, Extra Heavy-Duty 220 Amp Alternator, 3.31 Axle Ratio, Dual 78-AH 750 CCA Batteries, LARIAT ULTIMATE PACKAGE Automatic High Beam, rain-sensing windshield wipers, Intelligent Access w/Push-Button Start, Easy Entry/Exit Memory Driver's Seat Feature, Remote Start System, Ambient Lighting, Remote Tailgate Release, Memory Power-Adjustable Pedals, Twin Panel Power Moonroof, map lights and moonroof switches, PowerScope Trailer Tow Mirrors w/Memory, Power Heated/Cooled Passenger Seat, Tailgate Step & Handle, Power Heated/Cooled Driver Seat w/Memory, LED Box Lighting, LED Center High-Mounted Stop Lamp (CHMSL), Power Telescoping/Tilt Steering Wheel/Column, heat, memory and audio controls, Voice-Activated Navigation, HD and SiriusXM Traffic and Travel Link, NOTE: SiriusXM Traffic and Travel Link includes a, Services are not available in Alaska and Hawaii, CHROME PACKAGE Wheels: 18" Chrome PVD Aluminum, Unique Chrome Mirror Caps, 6" Angular Chrome Step Bars, Body-Color Door Handles w/Chrome Insert, Chrome Exhaust Tip, ELECTRONIC-LOCKING W/3.55 AXLE RATIO, TRANSMISSION: TORQSHIFT 6-SPEED AUTOMATIC (6R140), SelectShift.